Congratulations to Maj Steven DeFord on passing his Form 91! Maj DeFord is Squadron 188's newest Mission Pilot. I had the privilege of flying with Maj DeFord during the Mission Aircrew School's training weekend and am not surprised that he passed! Maj Steven DeFord following his Form 91 evaluation. Maj DeFord has been an active member of the Amelia Earhart Squadron 188 since 2013, where he serves as the Emergency Services (ES) Officer and is a member to the Senior Staff. In the past year, Maj DeFord has participated in no less than 9 exercises, 4 mission sorties, 3 of which were actual ELT searches that resulted in 2 finds. 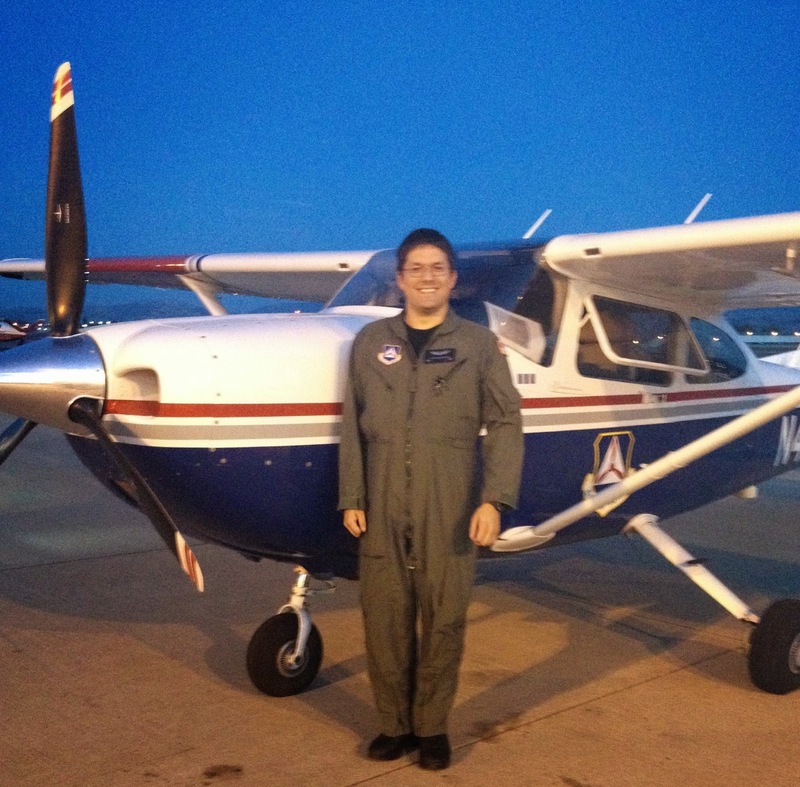 Earlier this year, Maj DeFord achieved his Mission Observer (MO) and Planning Section Chief (PSC) ratings. In 2013, Maj DeFord attended the Hawk Mountain Ranger School where he earned a Black Belt, their highest rating. When he is not helping CAP achieve its mission, Dr DeFord works as an emergency room doctor. We are grateful for Maj DeFord's dedication and commitment to CAP.